The 2018 LSU football season was a heck of a ride for Tigers fans. It approached amid trepidation that a barely-.500 season could be in the offing against a daunting schedule. Then it started with a thumping of preseason No. 8 Miami and it got better from there. Sure there was disappointment at Florida and at Texas A&M, as well as against Alabama. Again. But there were entertaining games, dramatic finishes, outstanding individual performances and a New Year’s Day victory to boot. The nose tackle’s father, Vili, was Vili the Warrior, who dressed as an ancient Polynesia warrior to lead the cheers at University of Hawaii games when Breiden was growing up. Now Vili is a Tigers fan. A big one. A colorful one. Video of Vili and Breiden spontaneously doing the Warriors’ Haka dance together during the LSU’s team’s pre-game walk to Tiger Stadium went viral. It showed the personality, passion and enthusiasm that the two have for football and each other. It wasn’t quite Saturday night in Tiger Stadium. But it was close. It wasn’t quite a return to national championship-contender status. But it was close. When No. 2 Georgia came to Baton Rouge to face LSU on a Saturday afternoon in mid-October, the Tigers and the crowd were ready. 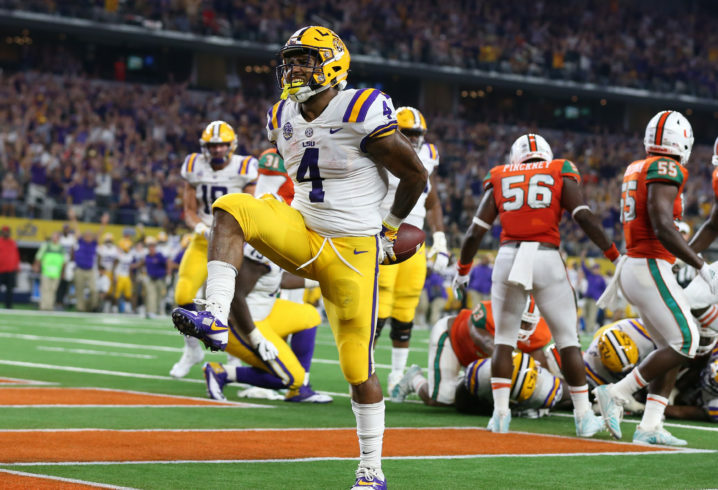 LSU routed the Bulldogs, 36-16, and Tiger Stadium rocked as much as it has rocked in daylight in some time. The Tigers showed that they’re capable of playing with the SEC’s and the country’s elite – and Death Valley was Death Valley. 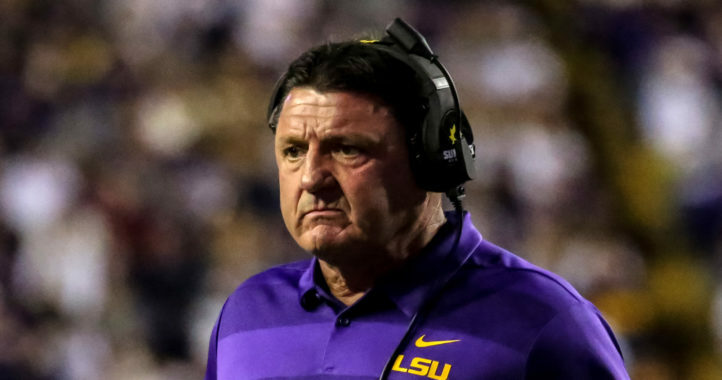 For one day it was a sign that maybe Ed Orgeron has the Tigers on the cusp of greatness once again. For three years it looked like Louisiana’s all-time high-school leader in touchdowns might never score a touchdown at LSU. But after biding his time behind Leonard Fournette, Derrius Guice and Darrel Williams, Brossette finally got a shot at substantial playing time as a senior. He finally found the end zone in the season opener against Miami and wound up scoring twice in that game and getting 14 touchdowns during a 1,000-yard season. At a time when countless players leave school before their fourth season or get discarded or frustrated if they don’t have an immediate impact, Brossette’s perseverance and ultimate success was refreshing. Yeah, the regular-season finale at Texas A&M didn’t end the way LSU wanted it to. The premature Gatorade bath was silly. And the officials … well, let’s forget about them. But, come on – 72-70? Seven overtimes? It was more fun for the Aggies, but it fun and memorable for everyone else too. 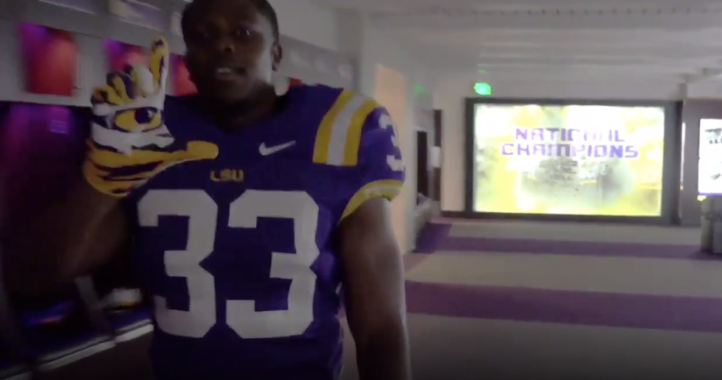 LSU posted video of the Tigers’ star linebacker riding one of his horses, Daisy Mae, around Tiger Stadium in late November. White is not only one of the best defensive players in LSU history, but one of the more interesting individuals. He owns seven horses, six of which are kept at the family home in Springhill, La., but he keeps Daisy Mae near the LSU campus in Baton Rouge. White will be a high first-round pick in the 2019 NFL Draft. We’ll remember all of the special plays he made. Watching him gallop around Tiger Stadium on top of Daisy Mae and even more so on Saturdays was a blast. Les East is a New Orleans-based football writer who covers LSU for SaturdayDownSouth.com. Follow him on Twitter @Les_East. Just ‘Haka’ not “Haka dance”. It’s redundant to say dance, kinda like atm machine.